"I now feel much more at ease developing project plannings, motivating project teams, working towards deadlines and engaging with stakeholders." Lynn was part of the Talent APAC ‘SKOpE’ Team. SKOpE stands for ‘Shared Knowledge and Operational Excellence’. Lynn was responsible for supporting and enabling the entire team in driving excellence in the APAC Region. China and Japan are the biggest UCB countries in the APAC region, followed by Australia, Korea, Hong Kong, Taiwan and lndia. Operational excellence more specifically entails growing the performance of HR and ensuring that the team only concentrates on value-added activities. Lynn was required to familiarize herself with the main HR processes, as well as adapt to the specific cultural differences both within and outside of the APAC region. She had to learn about Operational Excellence, KPIs, documentation and Project Management and apply these new concepts in her deliverables. As soon as she mastered this, she was able to quickly support the team and guide the employees towards Operational Excellence in the whole region. Lynn was surprised at how the Prince Albert Fund experience impacted both her professional and personal life. Having previously worked in finance, she wanted to break out of her comfort zone and develop new capabilities as well as enter a more tangible and impactful industry. 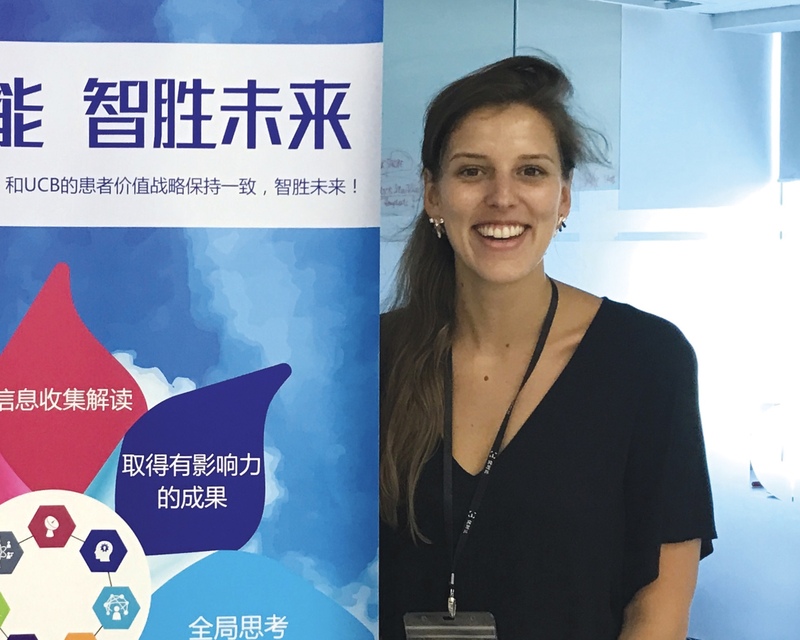 She had always been fascinated by the East and the impact of the Chinese on our daily life, so the Prince Albert Fund project with UCB was the perfect opportunity to learn more about this too. As a result, she now is familiar with all the major HR processes within an organization. She strongly believes that human capital is a company’s most valuable asset, which is why the knowledge she has built up is very valuable to her. On a personal level, this year was also extremely enriching, offering her the possibility to truly explore cultural differences and reflect on her values. UCB is a global biopharmaceutical company, with a focus on neurology and immunology. UCB is very active in R&D. The company also promotes neuroscientific research under the patronage of the Queen Elisabeth Medical Foundation with various awards. The company helps thousands of patients in more than 80 countries.